An encyclopedia would not be enough to tell the adventures of a company that, since 1877, has made the history, marketing and innovation of Chianti. A symbolic wine is the Chianti Classico Riserva Ducale Oro, which has always been a colossal wine made in Italy, whose first bottles date back to 1933 and the first millennium that could claim the name of the Reserve dates back to 1947, when this term stood for "stockpile". The addition of the term Gold was born instead from the change of colour of the labels that, growing old in the cellar, went from yellow to more golden tones; the rest is history, with a Chianti Classico Reserve of quality and quantity, endowed with great longevity and spearhead of a range, for centuries, always impeccable. 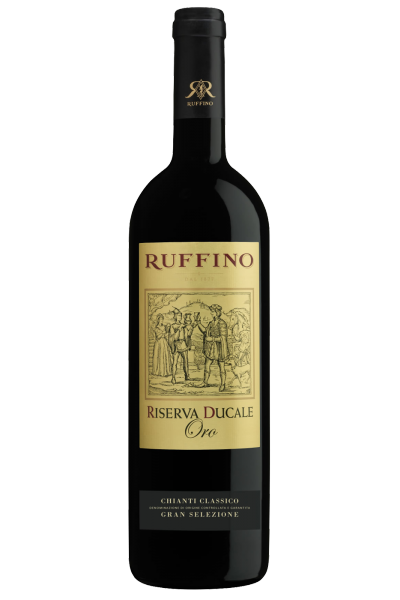 Compact and consistent ruby red, it has an aroma rich in aromatic herbs, rosemary, laurel and juniper, along with currant jam, woody notes of licorice stick and nutmeg, with a closure on balsamic hints. The taste expresses verve, body and structure, thanks also to the perfectly integrated tannin and the right balance in flavour, in a long finish of fruity returns. Perfect with a pork fillet (cinta senese) with berries.